The Defense Security Cooperation Agency notified Congress today of a possible Foreign Military Sale to Iraq of an Integrated Air Defense System and associated equipment, parts, training and logistical support for an estimated cost of $2.403 billion. The Government of Iraq has requested a possible sale of 40 AVENGER Fire Units, 681 STINGER Reprogrammable Micro-Processor (RMP) Block I 92H Missiles, 13 AN/MPQ-64F1 SENTINEL Radars, 7 AN/YSQ-184D Forward Area Air Defense Command, Control, and Intelligence (FAAD C2I) Systems, 75 AN/VRC-92E SINCGARS Radios, 3 HAWK XXI Batteries (6 Fire Units) which include 6 Battery Fire Direction Centers, 6 High Powered Illuminator Radars, 216 MIM-23P HAWK Tactical Missiles, 2 Mobile Battalion Operation Centers (BOC), 3 HAWK XXI BOC Air Defense Consoles (ADCs), 1DS/GS Shop 20, 1 DS/GS Shop 21, 1 Mini-Certified Round Assembly Facility (MCRAF), Air Command and Control (C2) systems and surveillance radars for the Integrated Air Defense Systems that includes TPS-77 Long-Range Radars (LRR) and Omnyx-I0 Air Command and Control System, and 10 Medium Range Radars. Also included: Ground Air Transmit Receive Ultra High Frequency/Very High Frequency radio capability, facilities and construction for one (1) underground Air Defense Operations Center and two (2) Air Defense Sector Operations Centers, spare and repair parts, repair and return, software support, systems integration, long haul communication technical integration, communications equipment, support equipment and sustainment, tools and test equipment, publications and technical documentation, personnel training and training equipment, U.S. Government and contractor representative engineering, technical, and logistics support services, and other related elements of logistics support. The estimated cost is $2.403 billion. This proposed sale will contribute to the foreign policy and national security of the United States by helping to improve the security of a friendly country. This proposed sale directly supports the Iraqi government and serves the interests of the Iraqi people and the United States. 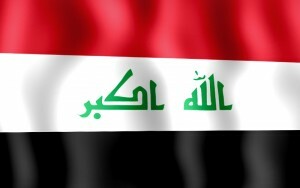 This proposed sale of Ground Based Air Defense Systems will help the Government of Iraq to modernize its armed forces. The proposed air defense system will provide the Iraqi Air Defense Command situational awareness of the country’s airspace and a baseline tactical radar and threat intercept capability. This capability will provide Iraq with the ability to contribute to regional air defenses and reduce its vulnerability to air attacks and also enhance interoperability between the Government of Iraq, the U.S., and other allies. The principal contractors involved in this program are: Lockheed Martin Corporation, San Diego, California; Thales Raytheon Systems, Fullerton, California; Boeing Company and American General, Letterkenny Army Depot, Chambersburg, Pennsylvania; Raytheon Integrated Defense Systems, Andover, Massachusetts; Northrop Grumman, Rolling Meadows, Illinois; and Kratos Defense and Aerospace, Huntsville, Alabama. There are no known offset agreements proposed in connection with this potential sale. Implementation of this proposed sale will require 20-25 U.S. Government or contractor representatives to travel to Iraq for a period of 8-10 weeks for equipment checkout and training.